Wild About Movies provides you the most up-to-date 2019 Movies information online. Our list of movies in theaters in 2019 is even more accurate than IMDB. Click on any of the 2019 movie posters images for complete information about all 2019 movies. Movies that are streaming on Video On Demand the same day as they are released in a handful or less of independent movie theaters are listed on our Video On Demand page, not our 2019 Movies page. Let’s reflect on 2019 movies, so far, for a moment. Shall we? 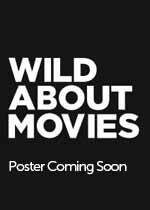 Wild About Movies brings you the trailers, posters and Behind The Scenes of over 500 movies released in theaters during 2019. And from the above list, we break them down. First off, each of these films are also expected to earn over $100 million: Avengers: Endgame, Aladdin (2019), Rocketman, Ad Astra, Godzilla: King of the Monsters, Ma, Yesterday, Dark Phoenix, The Secret Life of Pets 2, Men In Black 3, Toy Story 4, Spider-Man: Far From Home, The Lion King (2019), Hobbs and Shaw, New Mutants, It: Chapter 2, Joker, The Woman in the Window, Gemini Man, The Goldfinch. Spies in Disguise, The Addams Family (2019), Zombieland 2, Charlies Angels (2019), The Terminator (2019), Doctor Sleep, Frozen 2, Jumanji 2, Cats and Star Wars: Episode 9. 2019 Movies Sequels: 28 (Glass, The Lego Movie 2, Happy Death Day 2U, How To Train Your Dragon 3, A Madea Family Funeral, No Manches Frida 2, The Curse of La Llarona, A Dog’s Journey, Avengers: Endgame, John Wick: Chapter 3, Godzilla: King of the Monsters, Dark Phoenix, The Secret Life of Pets 2, Men In Black International, Toy Story 4, 47 Meters Down: Uncaged, Annabelle 3, Spiderman: Far From Home, Hobbs & Shaw, New Mutants, The Angry Birds Movie 2, Angel Has Fallen, It: Chapter 2, Zombieland 2, Doctor Sleep, Frozen 2, Jumanji 2, Star Wars: Episode 9). 2019 Movies Remakes: 18 (The Upside, Cold Pursuit, Miss Bala, What Men Want, Dumbo, Pet Sematary, The Hustle, Aladdin, The Lion King, Shaft, Child’s Play, Joker, Charlie’s Angels, The Addams Family, The Terminator, Masters of the Universe, Little Women, The Call of the Wild). 2019 Movies based on Comic Books: 8 (Captain Marvel, Avengers: Endgame, Shazam!, Dark Phoenix, Spiderman: Far From Home, New Mutants, Joker, Doctor Sleep). 2019 Movies Based On ‘Classic’ TV Shows: 4 (the Charlie’s Angels reboot, Dora The Explorer, Downton Abbey, The Addams Family reboot). Watch the Hobbs & Shaw trailer above, as Hobbs & Shaw is destined to be one of the Top 10 highest grossing movies at the 2019 Movie Box Office. Complete list of 2016 Movies that were in theaters. Complete list of 2017 Movies that were in Theaters. Complete list of 2018 Movies in Theaters. Complete list of 2019 Movies Coming to Theaters. Complete list of 2020 Movies Coming to Theaters. Complete list of 2021 Movies Coming to Theaters.